Available in the National Library of Australia collection. Author: Okun, Arthur M; Format: Book; xii, 665 p. : ill. ; 24 cm. 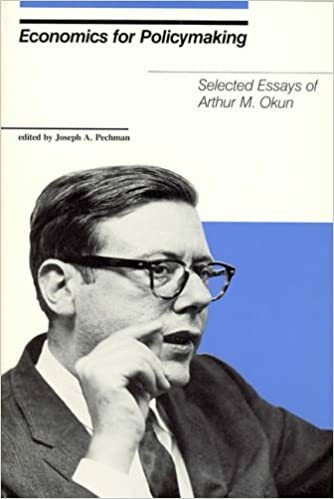 Economics for policymaking : selected essays of Arthur M. Okun. Responsibility: edited by Joseph A. Pechman. Imprint: Cambridge, Mass. : MIT Press, c1983. Physical description: xii, 665 p. : ill. ; 24 cm. Economics for Policymaking: Selected Essays of Arthur M. Okun, Taschenbuch von Arthur M. Okun bei hugendubel.de. Portofrei bestellen oder in der Filiale abholen.